Students at Ramay and Woodland Jr. High Schools received a copy of “The Crossover," a book by national award-winning author Kwame Alexander. On October 4, every student at Ramay and Woodland Jr. High Schools received a copy of “The Crossover,” a book by national award-winning author Kwame Alexander. Ramay and Woodland received a grant from Tyson Foods through the Fayetteville Public Education Foundation to purchase the books. 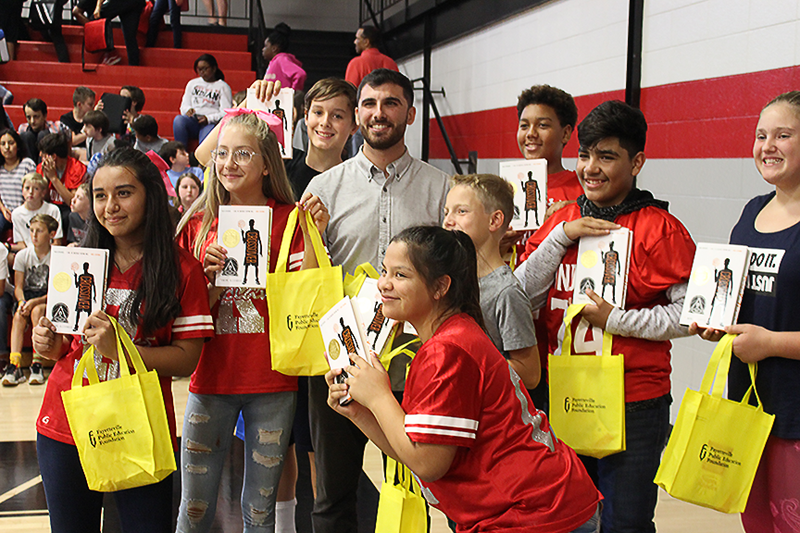 Ramay Jr. High held a school assembly to distribute the books that featured remarks by Ramay alumnus Kikko Haydar on the importance of reading. Woodland Jr. High students received their copies of the book during their advisory period and watched a student-produced video promoting the book.